1 There are many famous American musicians. Some of them were great singers. Others were masters of one or more musical instruments. Some conducted orchestras, and others composed original music and lyrics. 2 These American musicians made all kinds of music. There was folk music, jazz music, classical music, rock music, religious music, movie music, and much more. 3 Here are just a few of the many great American musicians. All four of these musicians worked in the early part of the twentieth century. Each of them is an example of the creativity and talent that is represented by American music. 5 Irving Berlin was best known for composing some of America's most famous songs. His songs include "Alexander's Ragtime Band" and "God Bless America." 6 Irving Berlin was born a Russian Jew. He immigrated to the United States with his family when he was five years old. His family settled in a tenement house in New York. At that time, Irving Berlin's first name was Israel, but later he changed it to Irving. 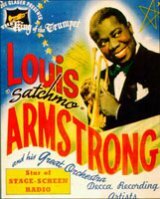 7 Some of his most popular songs are in the scores of famous plays and movies. They have tunes and words that stick in your mind. All together, Irving Berlin wrote over 1,000 songs.